International Applicants: Find Out How to Fund Your MBA Abroad! 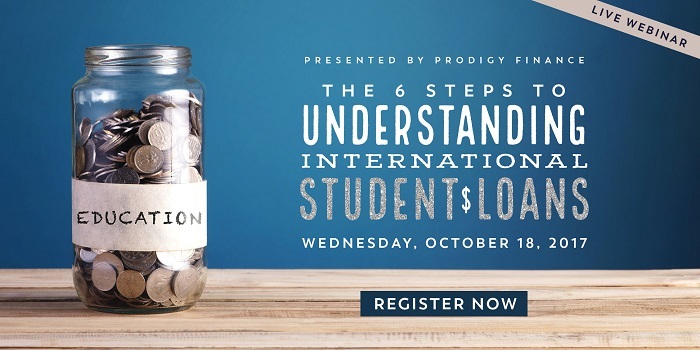 There’s still time to register for The Six Steps to Understanding International Student Loans! Guided by our friends at Prodigy Finance, you’ll learn the terminology of student loans, how to compare loans, how to apply and qualify as an international student – and more. If you’re applying for an MBA or other master’s program as an international student, this is a must. This is your chance to get a straightforward introduction to the loan process and how you can fund your international master’s degree – all in a free, one-hour webinar.